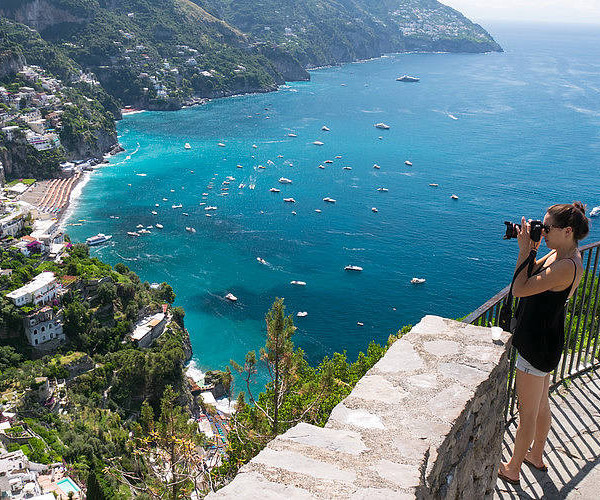 The Amalfi Coast is world famous for providing some of the world's most breathtaking views. 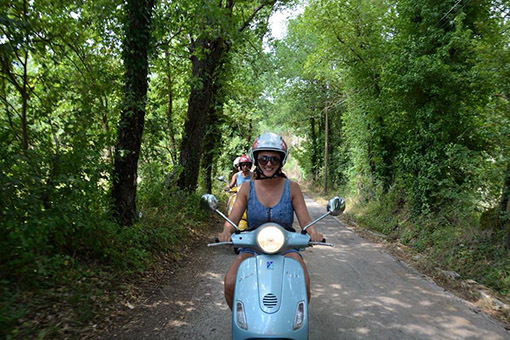 No better way to explore those views than on an authentic Italian scooter. 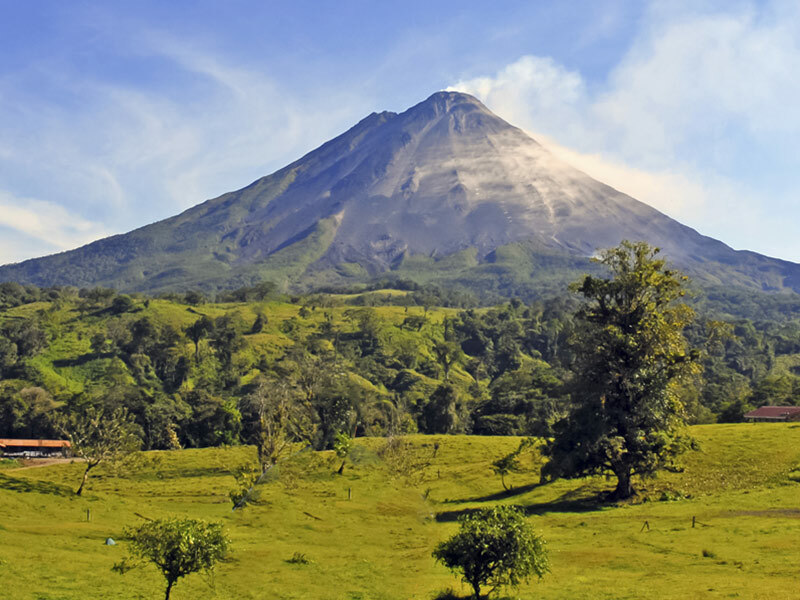 During this route you will also cross a couple of beautiful natural parks and visit the Mount Vesuvius. 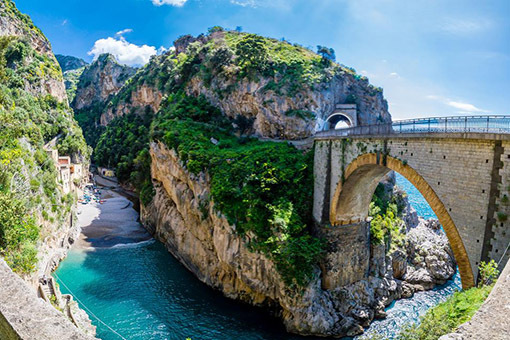 The region around the Amalfi Coast is world renowned for the kilometers of breathtaking views you can experience while driving through. 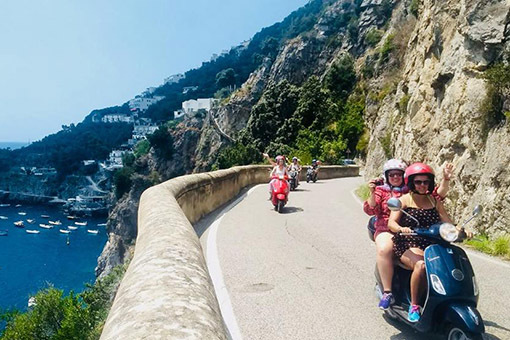 Extremely high cliffs, endless blue water and spectacularly windy roads. 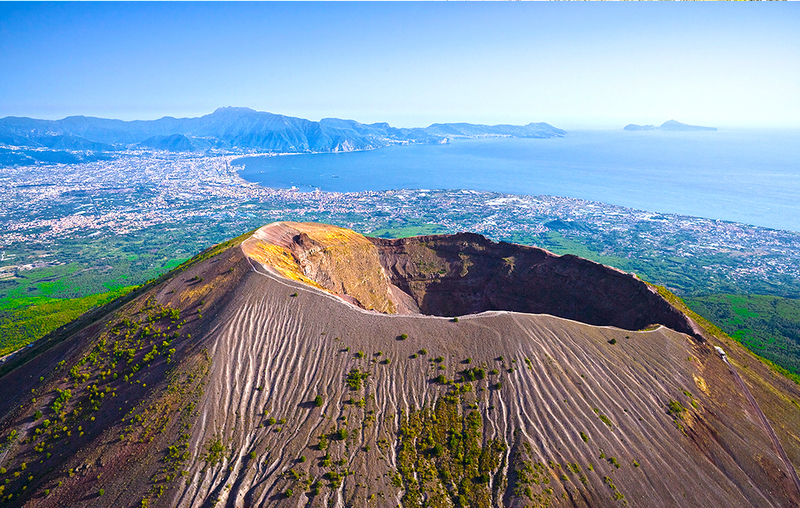 Besides this exhilarating scenery you also find the Mount Vesuvius and the historic city of Pompei in the same area. The country side is much less well known but you can find a beautiful well kept secret national park over there. 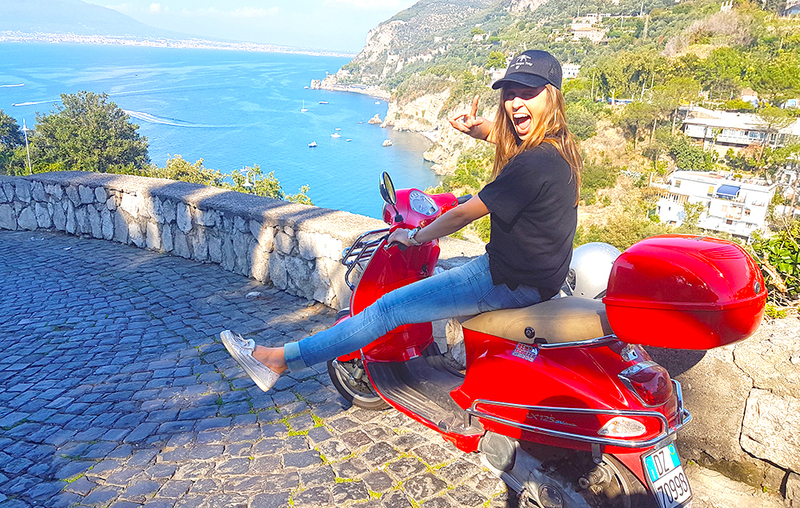 The Amalfi route leads you as quickly as possible away from the busy traffic in Naples. You will almost immediately recognise the amazing Mount Vesuvius while passing by the historical city of Pompeï. 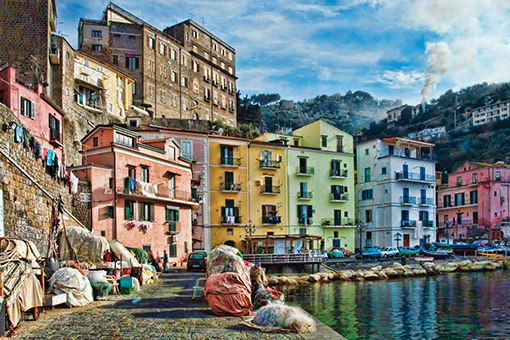 The legendary Amalfi route will start right after Pompeï until you reach Salerno. 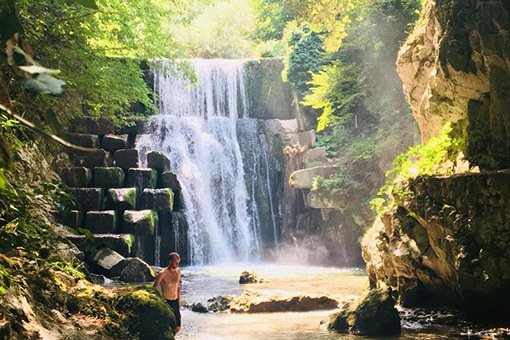 The route will lead you to an unspoiled and not so well known but very beautiful national park Parco Regionale dei Monte Picentini. 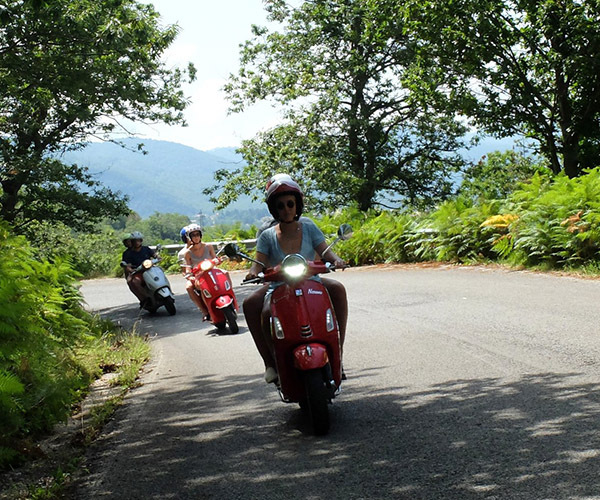 After spending a night in the authentic South Italian village of Avellino, The Vespa Trip will head back to Naples. 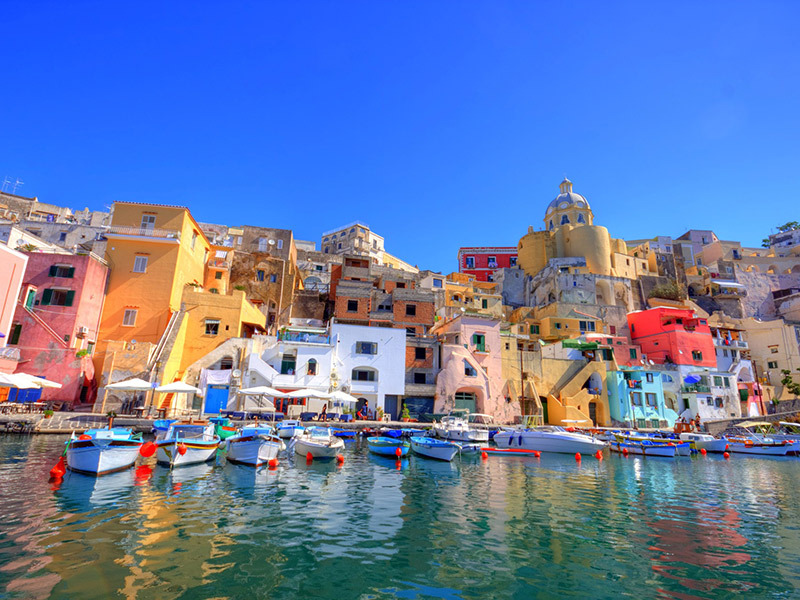 On the first day you arrive in the colourful city of Naples where you are welcome at the hotel from 12h. 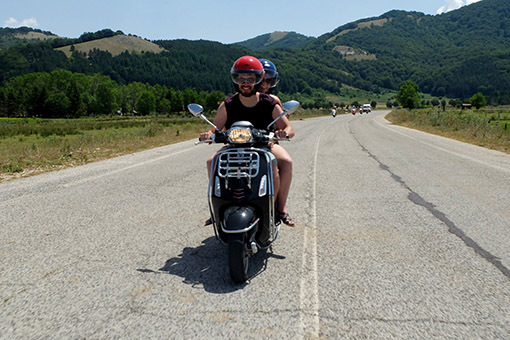 You will meet someone from The Vespa Trip and you can immediately check into the hotel. 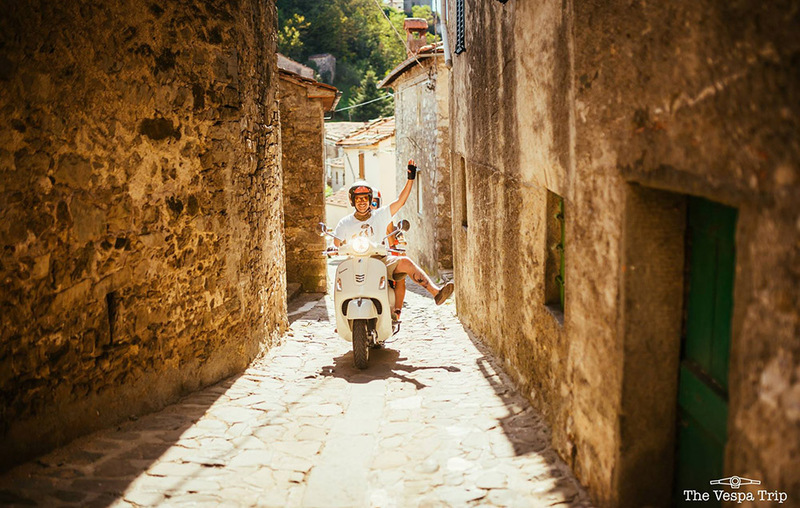 If you have some spare time you can already choose your Vespa. 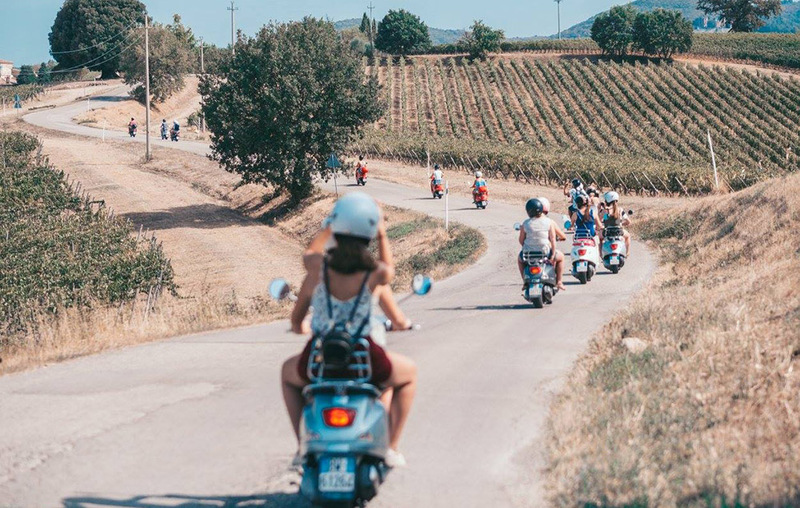 If you have never driven the Vespa before, a Start-to-Vespa course is highly recommended which starts from 16h and lasts half an hour to one hour. 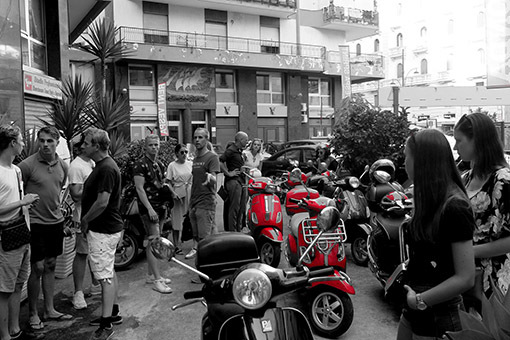 You spend the evening in Naples, because The Vespa Trip really starts the next day. 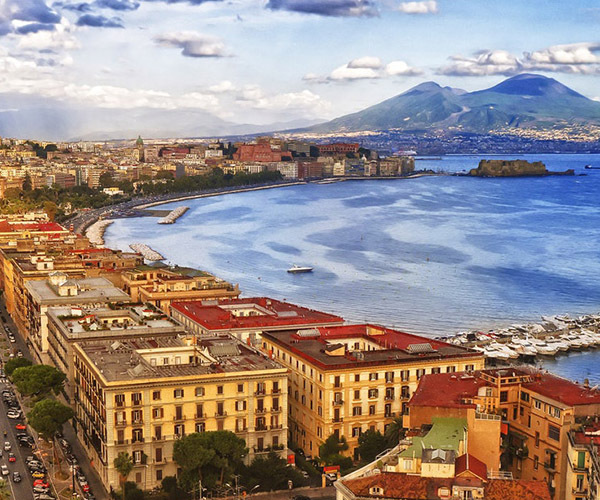 Today you leave the busy centre of Naples and you will quickly see one of the most famous volcanoes in the world. The Vesuvius. Just leave it for now because you will see many more sites on today’s route. 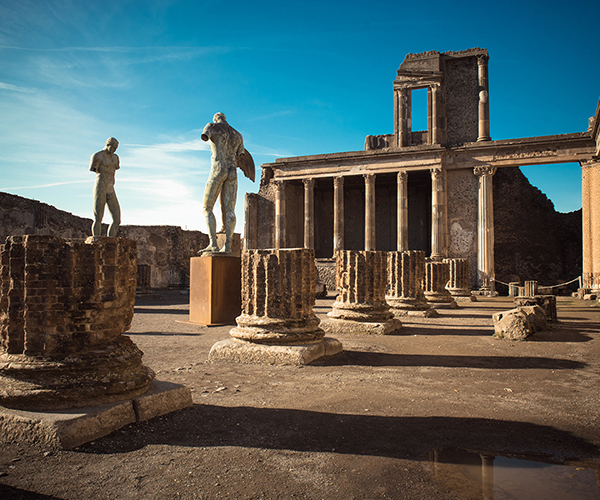 The first beautiful village you will pass is Pompeii. 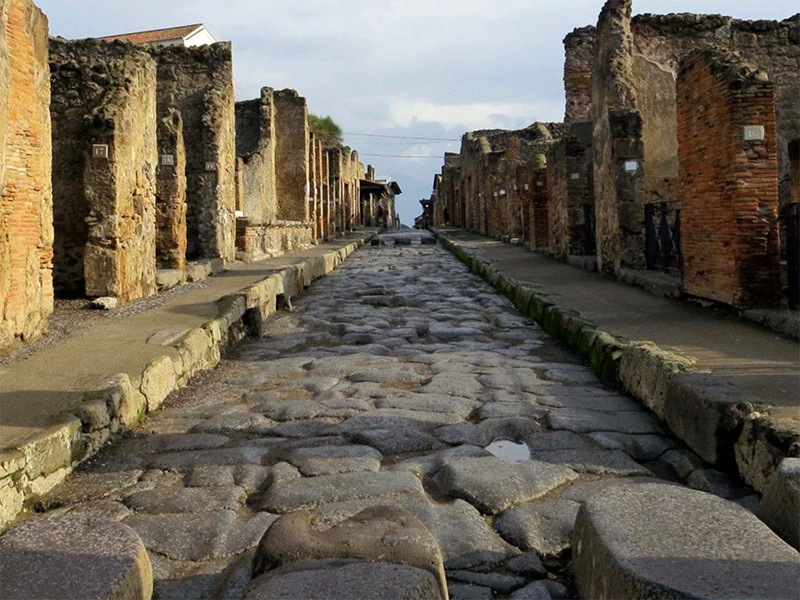 A small ancient town that was completely destroyed by an eruption of the Vesuvius. 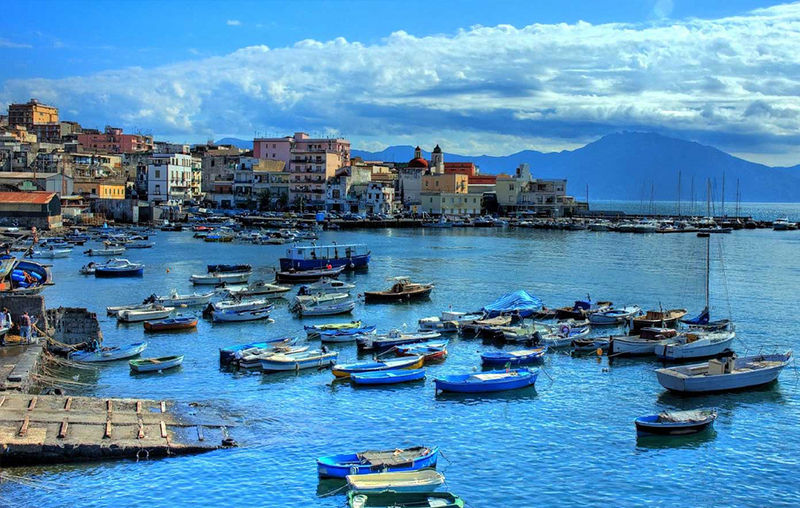 From Pompeii you will get acquainted with the amazing Amalfi Coast, its famous views and the azure blue water. 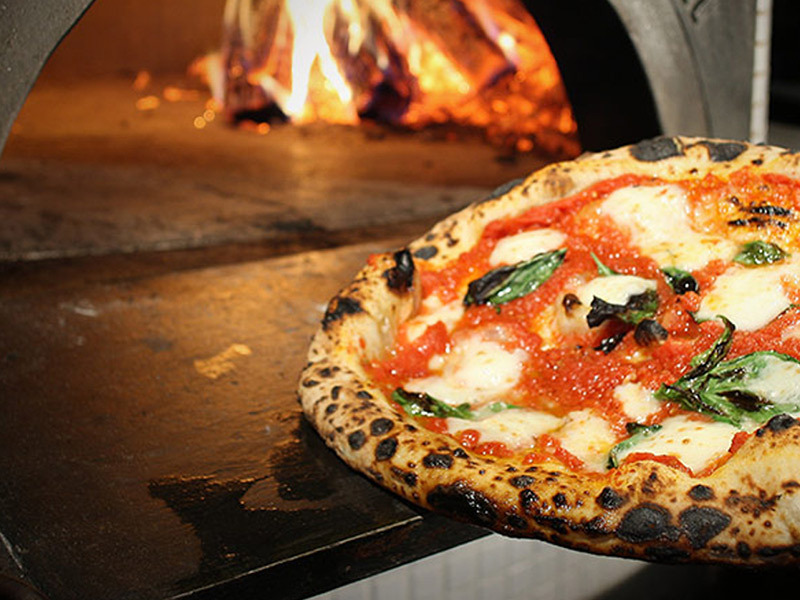 You can make a quick stop on the Piazzo Tasso in the centre of Sorrento. 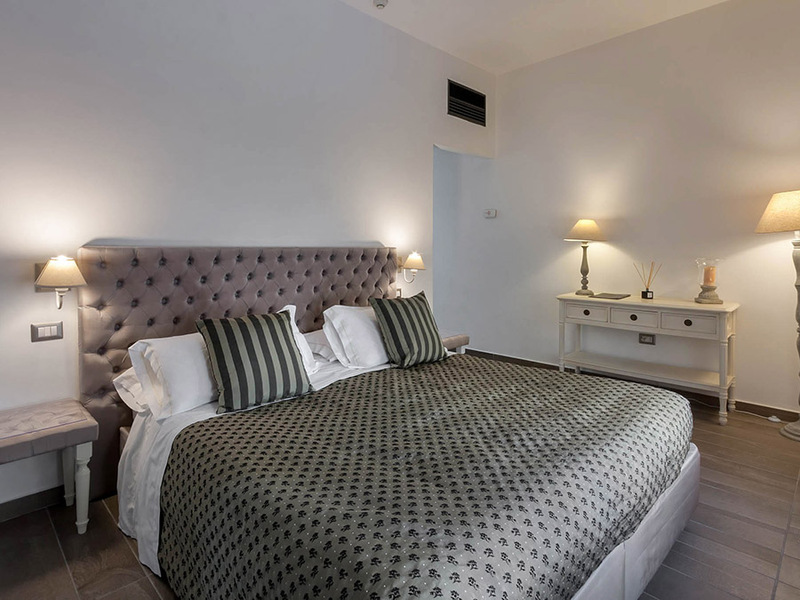 You will end the day in a lovely resort on the edge of Sorrento: O Sole Mio. 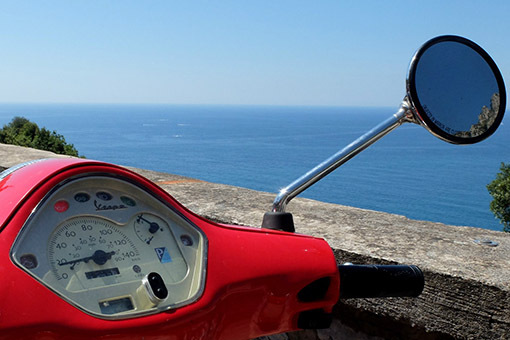 During this second stage you will almost continuously drive along the famous Amalfi Coastline. 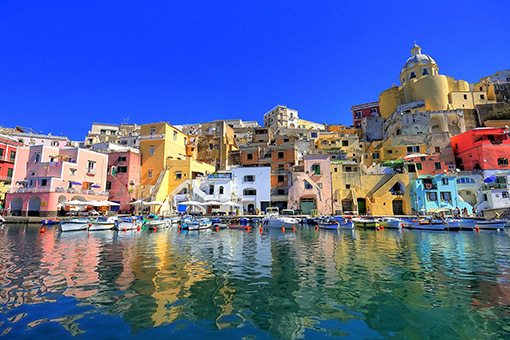 You will see all panoramas that you have seen in videos or magazines about this coast. 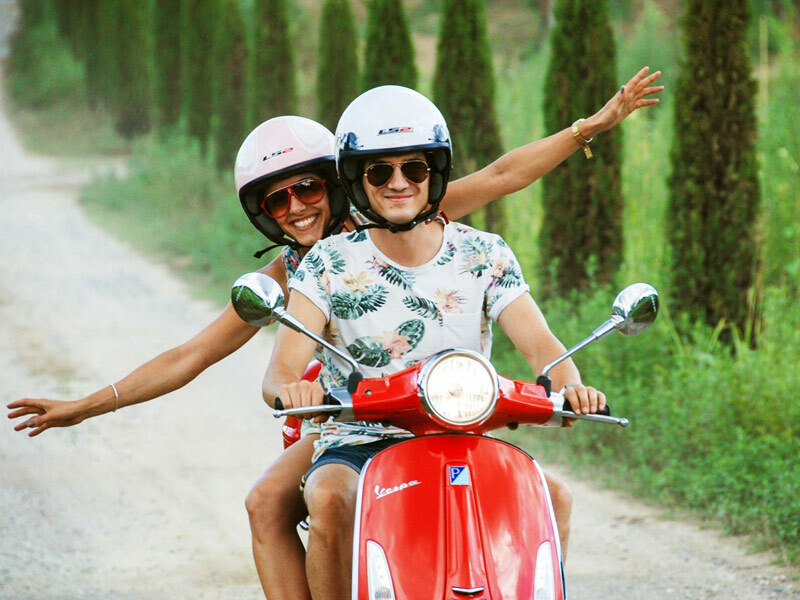 You will make a stop in Marina di Praia, where you can put the Vespa aside and enjoy the beach. A bit further you go inland towards Ravello. 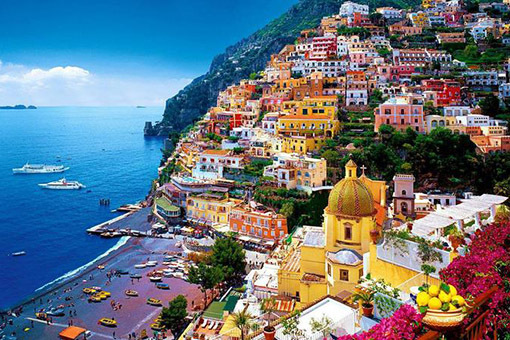 A picturesque village that offers spectacular views. 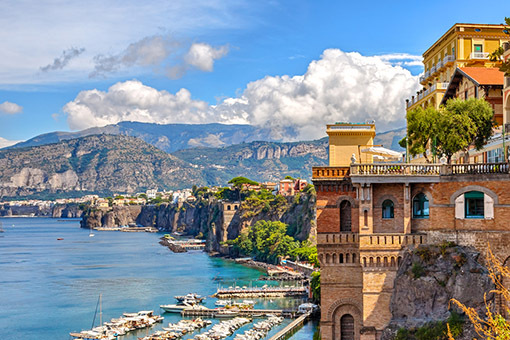 The trip continues along the towns with lovely names like Amalfi, Erchi and Cetara. 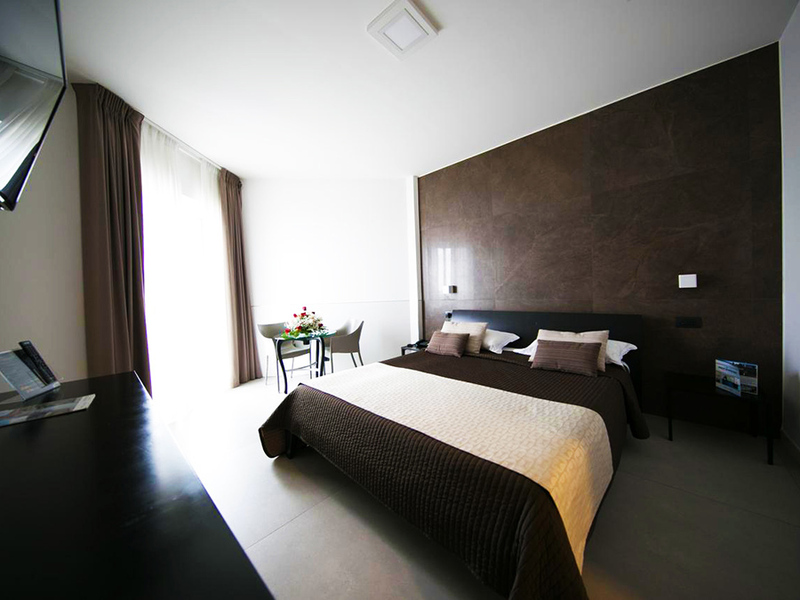 In the late afternoon you will arrive in the lovely Novotel Hotel in the port town of Salerno. 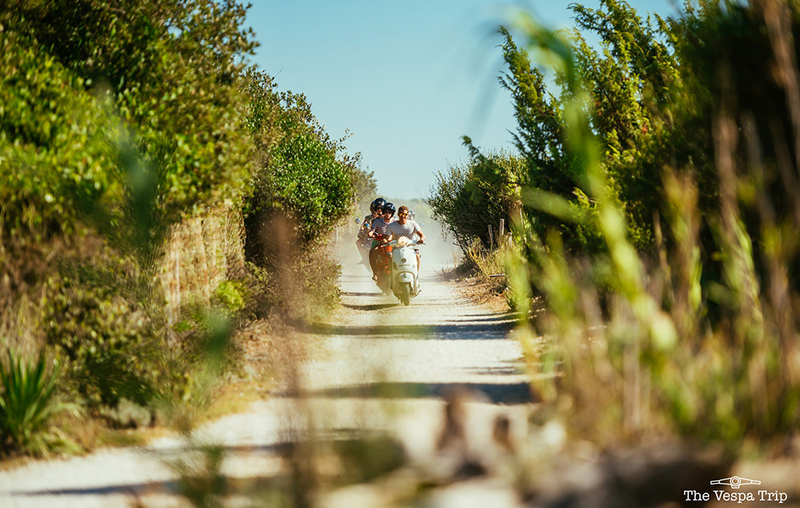 On this fourth day you will leave the traditional and touristic path and head towards the inland. Suddenly there is hardly any traffic left and you drive a very long stretch uphill. This ensures cool temperatures, but mainly also fantastic views on the left and right. 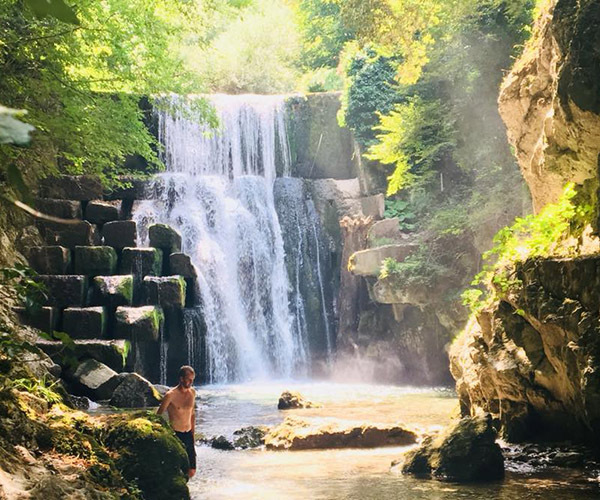 On this day you will pass a beautiful waterfall, an abandoned ranch and other hidden treasures in The Middle of Nowhere. 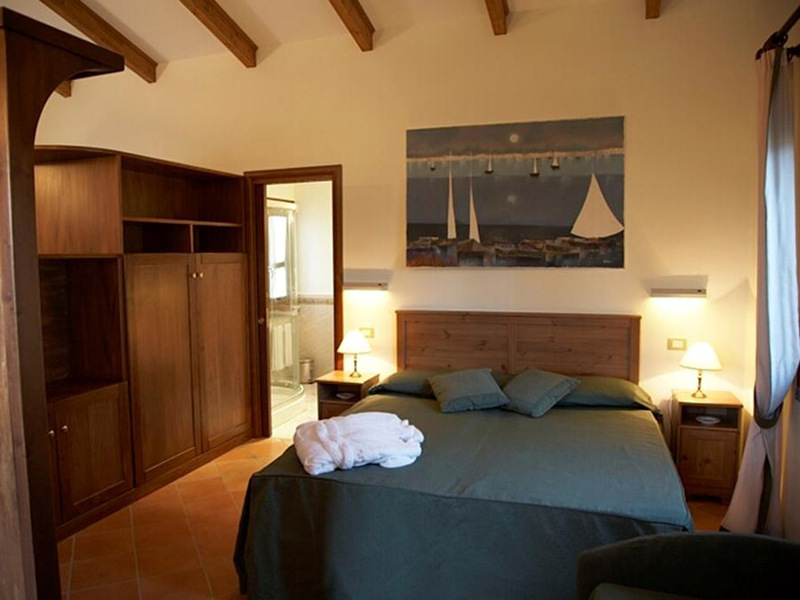 The day finishes in the small village of Avellino where you spend the night in a nice small hotel. 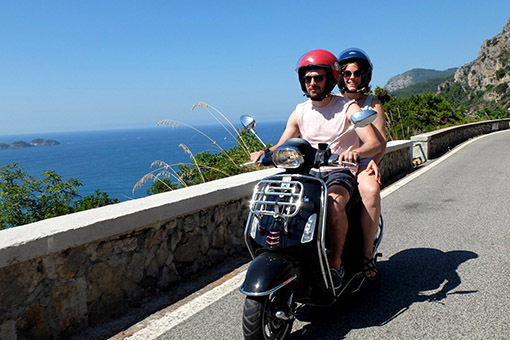 On the final day on the Vespa you first drive through a nature resort and slowly but surely you will see the mighty Vesuvius again. 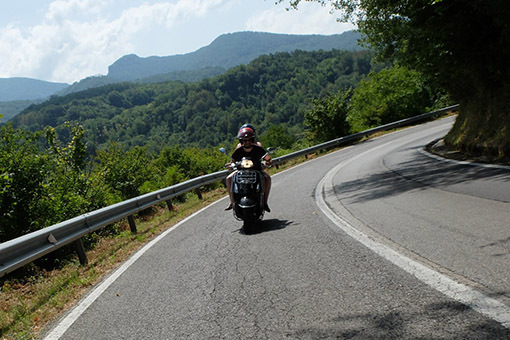 This time you will drive towards it and you climb the volcano as high as possible with the Vespa. 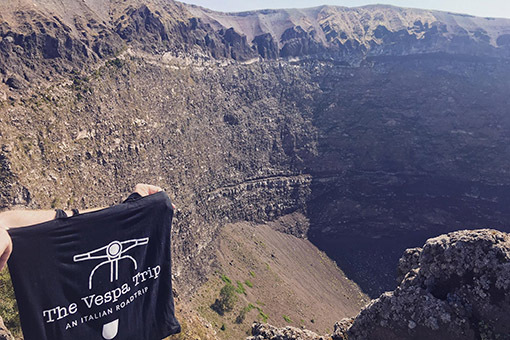 You can park it at about a ten-minute walk from the crater. 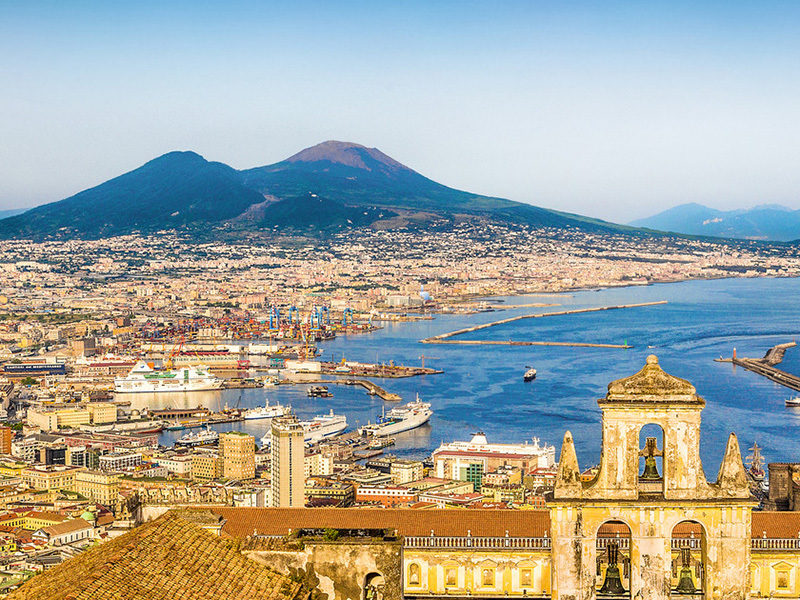 At the top of the volcano you have a phenomenally beautiful view of the surroundings and Naples on a clear day. From the volcano it is only a short drive towards Naples where you will hand in the Vespa again and spend you last evening in this magnificent city. 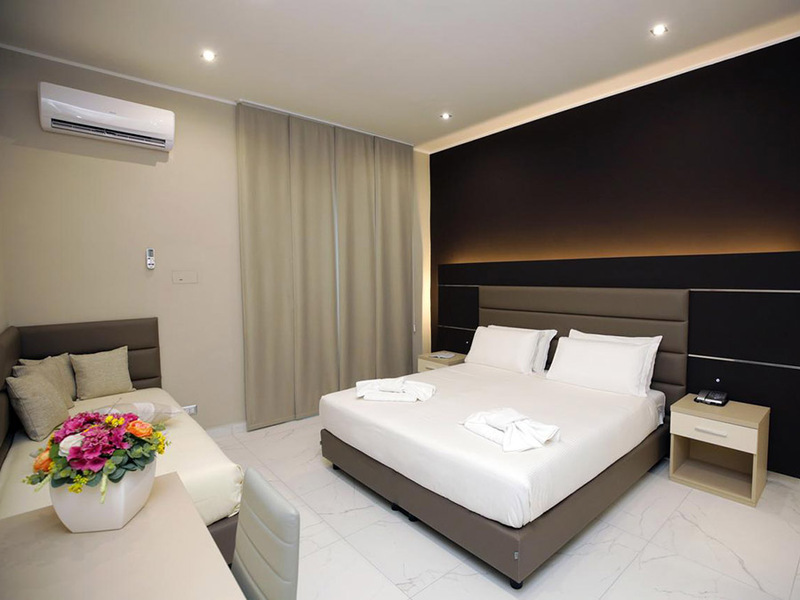 These hotels are good hotels which have at least 3 to 4 stars. 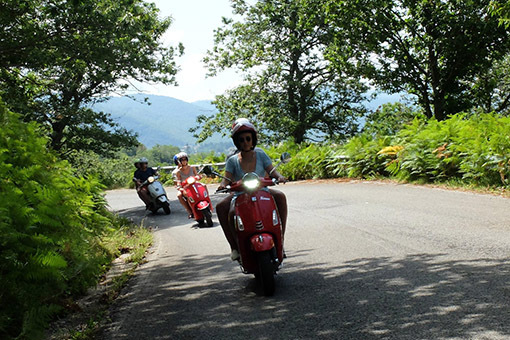 The Vespa Trip Amalfi is only available in certain periods.  You can find the possible dates below.